Apple in talks to offer 24-bit hi-res audio files on iTunes? | What Hi-Fi? Apple in talks to offer 24-bit hi-res audio files on iTunes? Apple and other digital music retailers are holding talks with record labels to improve the quality of the song files they sell, according to reports in the US on CNN's website. As any audiophile knows, sound quality crucially depends on the bit-rate at which music files are ripped or downloaded, with most studio recordings being captured in high-resolution 24-bit format. These are then compressed to make them quicker to download from, or stream over, the internet, so sound quality can suffer. With the number of music streaming devices rapidly expanding, there's increasing demand for higher quality music files. Well-known music executive Jimmy Iovine, who has worked with Dr Dre on a range of Beats Audio headphones, is keen to see 24-bit audio made available to the public. As chairman of Universal Music Group's Interscope-Geffen-A&M record label, Iovine's in a good position to lead the charge. "We've gone back now at Universal, and we're changing our pipes to 24-bit. And Apple has been great," Iovine told CNN. "We're working with them and other digital services – download services – to change to 24-bit. And some of their electronic devices are going to be changed as well. So we have a long road ahead of us." To make the jump to higher-quality music attractive for Apple, the company would have to retool future versions of iPods and iPhones so they can play higher-quality files. And no doubt it would charge more for those hi-res tunes. Apple has upgraded the quality of its music catalogue once before. 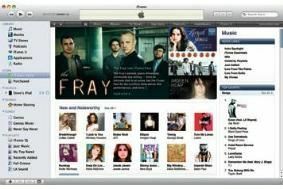 In January 2009, the iTunes Store began offering most tracks in a bit-rate twice as high (256Kbps) as its previous standard, and free of copy-protection.